Early this year, the Rural County Representatives of California (RCRC) Board of Directors took a support position on a bond proposal to invest in California’s water infrastructure. Proposition 3, the Water Supply and Water Quality Act of 2018, is a citizen’s initiative water bond that will appear on the November 2018 statewide California ballot. This initiative provides us a unique opportunity to invest in projects that will serve our local communities, with specific funding dedicated to areas of the state that, historically, have been under-resourced. 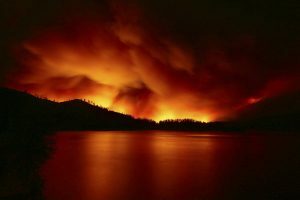 The last five years have revealed the new normal for California’s rural communities – devastating wildfires, prolonged drought, rain and snowstorms, and record summer heat all point to the need to invest in our state’s ability to withstand these events. If we don’t take the opportunity to empower ourselves now, we’ll pay dearly later. Proposition 3 provides a direct investment in improving our resilience, from $640 million to improve groundwater sustainability, to $50 million for pre-fire mitigation and restoration of our watersheds, yielding the dual benefits of an improved water supply and water quality, and reducing the threat of wildfire in our local communities. In addition to the watershed restoration projects, Proposition 3 includes a number of other funding areas, including programs to address safe drinking water, fisheries and wildlife protection, and other grant funds that could be used to develop local resiliency and help our local water districts, resource conservation districts, and other agencies with the projects they need to improve our water supply and working lands. RCRC represents 36 of California’s 58 counties, and nearly 55 percent of the land mass in California. Nearly 75 percent of California’s available water originates in RCRC member counties. RCRC has long advocated for resources to improve and enhance California’s water infrastructure, and policies to protect the forested watersheds that provide clean drinking water to all Californians. Proposition 3 is not a divisive partisan issue. This measure is supported by groups across the political spectrum because water is important to every Californian, regardless of geography. 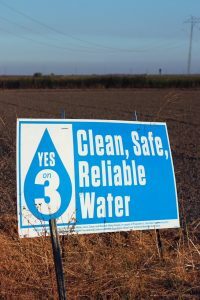 Proposition 3 has the potential to improve water supplies and fire safety for our rural communities, farmers, and the environment, to the benefit of the state as a whole. In addition to RCRC, the measure is supported by Association of California Water Agencies, California State Association of Counties, California Chamber of Commerce, National Wildlife Federation, California Farm Bureau Federation, Senator Feinstein, GOP candidate for Governor John Cox, and many regional groups and individual counties. Proposition 3 is crucial to the state as a whole, and includes dedicated funding for the regions that need it the most. I encourage you to vote YES on Proposition 3.